Country music fans, are you hyped for Jason Aldean?? One of country’s brightest stars is on tour in 2019, hitting the Mohegan Sun Arena on Friday 3rd May 2019 at the Mohegan Sun Arena in Montville. Fans can barely contain their excitement – tickets are on sale NOW and disappearing as you read this!! Don’t miss out. Grab your tickets to see him live today!! With his self-titled debut album, Jason Aldean hit the country world with a bang. With a succession of smash hit singles over the years including "Burnin' It Down,” "A Little More Summertime,” "Tonight Looks Good on You,” and “You Make It Easy,” just to name a few, he’s quickly become one of country’s best-loved musicians – especially well known for his energetic live performances. “My live shows are such an important selling tool for the record for me – I’m constantly listening for things that are going to translate live,” the singer said; “Sometimes, I get lost in thinking, ‘Man, that song sounds really cool. 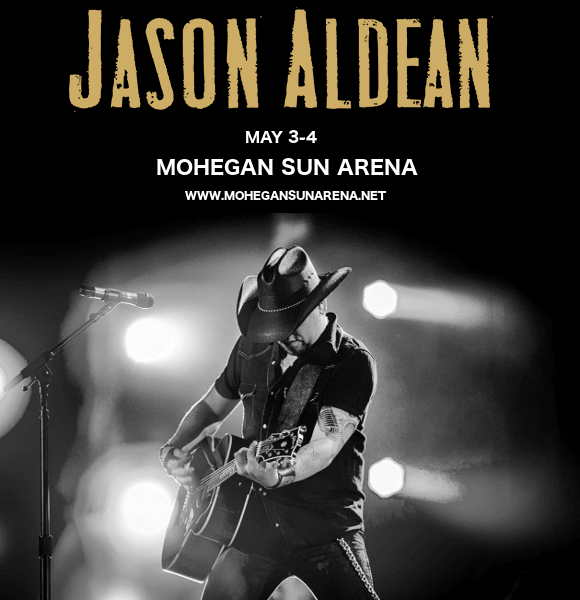 It would be fun to play live.’"
Now, get ready to be a part of the most special part of the musical experience for both him and his audience – get your tickets to see Jason Aldean NOW while you can! !